This is a guest post by Noah Greenberg. If I had to do it over again, I’d send myself some advice on how to apply to grad school the right way, and how different it is from applying to undergraduate universities. Undergraduate programs scatter the country like a Verizon coverage map: they’re everywhere. No matter where you look, you’ll find an undergraduate liberal arts program at a respected college. That’s not to say it’s easy to get accepted everywhere, but the choices are endless. Graduate school programs, on the other hand, are elusive. That’s why I’ve created this list of the lessons I learned while applying. 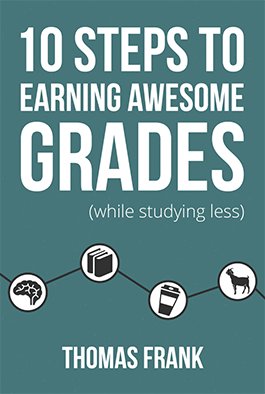 If you’re planning on continuing to the graduate level, hopefully this can help you. Unlike undergraduate schools, graduate programs dot the country in odd nooks and crannies, playing a game of hide and seek with new applicants. However, your undergraduate guidance program wants to help you – and what’s more; it’s their job. They provide the magnifying glass to zoom in on the grad school program that’s right for you. All you have to do is ask. Make sure you seek out other resources as well, like a favorite professor, lecturer, or mentor. So keeping in mind your academic goals, financial needs and location requests, it’s time to make a list of graduate programs. Always have a range of schools and note the specifics that are important to you. If average post-graduation salary is a top priority, make sure to list and compare schools with high averages (that means you, Harvard and Stanford). But those schools aren’t for everyone. Keep an open mind, and spend the time to explore. Once you’ve made a list, it’s time to apply. And that means standardized testing. In high school, you took the SAT or the ACT. Graduate schools, however, each require different entrance exams, like the GRE, GMAT, and MCAT, and some require a combination of several. I always struggled with standardized tests, so I’d suggest comparing test prep methods and reading test prep guides. You’ll find several other differences in applying to graduate programs as well. Unlike most undergraduate programs, grad schools generally require applicants to come in for an interview. The whole process is much more personal: there’s no common application for grad school, and the application questions you’ll have to answer will ask you to write about things like your goals and research experience rather than a general personal statement. Graduate school can be significantly more expensive than undergraduate programs. But don’t let that be a deterrent. Think about it like an investment: a graduate degree can earn you 25 percent more on average than a bachelor’s degree, according to The New York Times. Money is a concern for most applicants, especially after spending so much on undergraduate as well. But the good news is that there’s a long list of scholarships and grants available to students. Getting help with grants and scholarships just means reading and asking questions: don’t be shy. In the end, applying to graduate school takes more focus and detail. With some organization and planning to compare all of your options, you’ll find yourself in graduate school in no time.